With news of beloved healthy brands’ products suffering glyphosate contamination, food and beverage companies prepare for a deluge of increased consumer unease about pesticides in products. 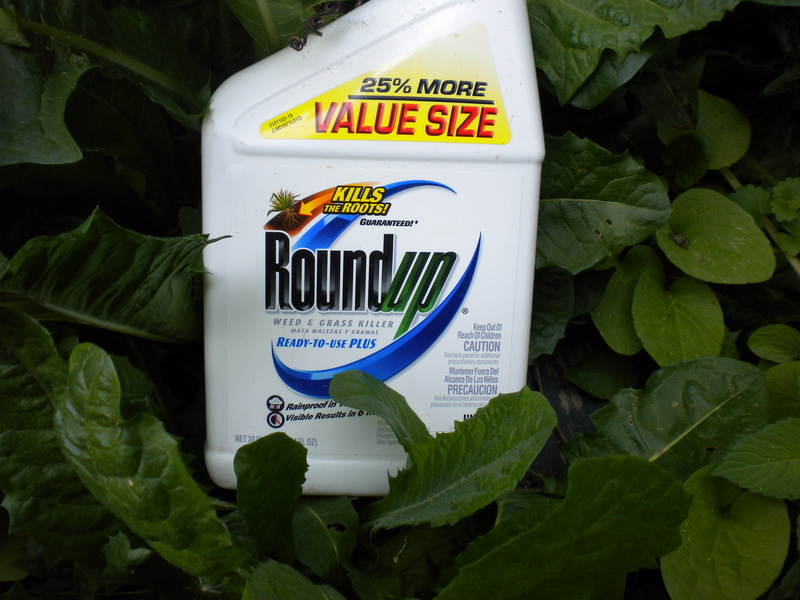 Consumers are starting to push back against the most ubiquitous herbicide in the United States, glyphosate, the active ingredient in Monsanto’s flagship weed killer Roundup. Recent news of glyphosate’s potential carcinogenicity when chronically used and its omnipresence in both natural and conventional food products has sparked some consumers to seriously question if they’re eating dangerous levels of the herbicide. Following the study’s publication, numerous brands—regardless if their products were tested in the EWG glyphosate report—saw increased consumer concern, especially regarding products that contain oats. Andrew Aussie, president and founder of the oat-based brand Earnest Eats, said consumer questions about glyphosate came quickly. Sparked by rumors that countries such as Taiwan would start to discourage glyphosate use, Aussie has been working to improve his oat supply for more than two years. He has a unique agreement with Earnest Eats’ farmer suppliers that prohibits them from using glyphosate on their oat crops. Additionally, Aussie requires the oats that end up in his products be tested post-harvest for residue as well. Some brands identified in the EWG study whose products were found to contain glyphosate have already been targeted by litigation. In response to a lawsuit that was filed in 2016 by the Organic Consumers Association, Moms Across America and Beyond Pesticides, General Mills recently announced it would remove the term “100% Natural” from its Nature Valley bars. According to the complaint, tests revealed that Nature Valley bars contained 0.45 parts per million of glyphosate—likely contaminated from the common practice of spraying glyphosate on harvested crops as a desiccant. Bob’s Red Mill, a natural legacy brand, is facing a federal class action suit filed in San Francisco by plaintiffs Tamara Frankel and Natasha Paracha who argue that Bob’s Red Mill did not disclose that its oat products contain glyphosate, thus rendering the brand’s healthy messaging as misleading. It sounds ominous. But whether the class action lawsuit will provide any lasting harm to Bob’s Red Mill is almost besides the point. Tim Avila, founder of Systems Bioscience and natural industry adviser, says brands shouldn’t worry so much about being sued. They should worry about losing the trust of their consumers—and that alone should be reason to test their products for glyphosate. To convince consumers that their products are free from the herbicide, some companies seek verification from The Detox Project’s Glyphosate Residue Free certification. Designed specifically to test finished products for glyphosate contamination, founder Henry Rowlands says since the EWG study he has received a massive rise in inquiries from manufacturers ranging from makers of baby food to honey to supplements regarding the Glyphosate Residue Free certification. “So far we have 15 brands from around the world fully certified, but over 100 brands have been in touch with us during the last two weeks,” he says. One of those 15 brands? Foodstirs, an organic baking mix company spearheaded by Sarah Michelle Gellar, Galit Laibow and Greg Fleishman, recently certified about 90 percent of its product portfolio, including its new line of Chewy Oat Bar Mixes. While the Glyphosate Residue Free certification is notoriously stringent to pass, Fleishman says that because Foodstirs prioritizes USDA Organic, Identity Preserved and Demeter USA ingredients, the products passed on the first test. The Glyphosate Residue Free certification tests food straight out of the box, which offers consumers security and brands assurance that their co-packer didn’t accidentally add conventional ingredients to an organic product—a problem that Fleishman says is more common than many might believe. For Earnest Eats’ Aussie, the widespread media attention about glyphosate in oats is ultimately positive because it’s helping people connect the dots that glyphosate is the scientific name for the branded weed killer from Monsanto. It has raised awareness about the rampant use of pesticides in certain types of agriculture that extend beyond just weed suppression.